The wind at dawn blew from the mountains across the plain and out to sea, bringing tears to unprotected eyes and cutting through parkas and fleece that yesterday felt warm enough for winter on the Spanish Mediterranean but now we know the falsehood of that. I walked from playa to darsena with the sun two fingers above the sea, lighting the Varadero Publico that houses Race Committee, International Jury, Société Nautique de Genève, and the Fourth Estate. 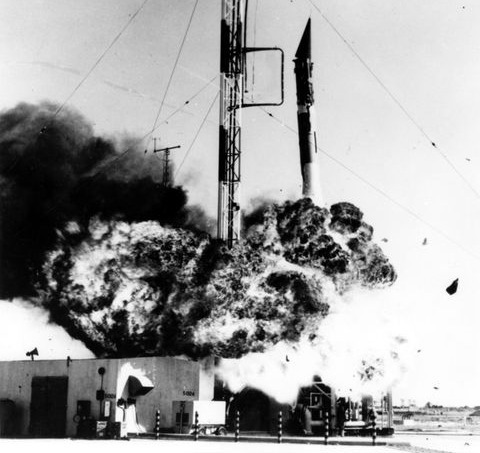 It didn’t look like the scene of a failed launch, but it was all of that. Yes, they use a crane to lift mainsails on or off. 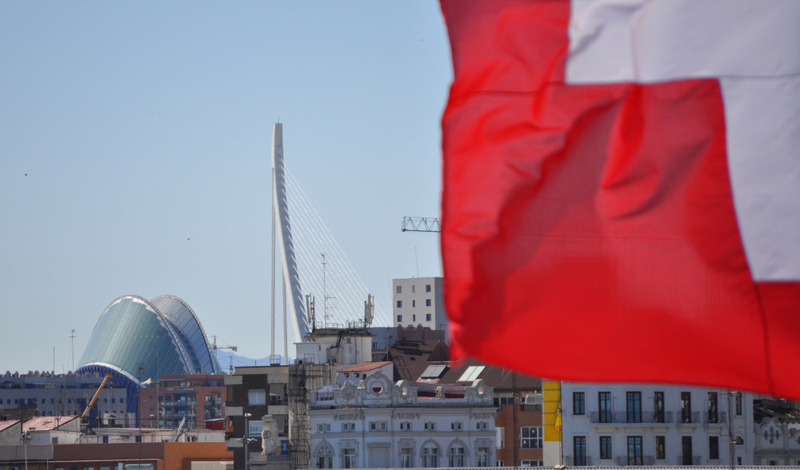 Later in the day, I was on Alinghi’s roof, gazing over the rooftops of Valencia to a new Calatrava-designed extravagance and accompanying bridge towerrecent constructions that I crave to see up close, but haven’t yetand congratulating myself for wedging a corner of a Swiss flag into the frame . . . Looking the other direction, cruise ship’s in, mon. Nope, it’s Larry Ellison’s Rising Sun, newly pulled inside to “park” on the opposite side of the darsena. 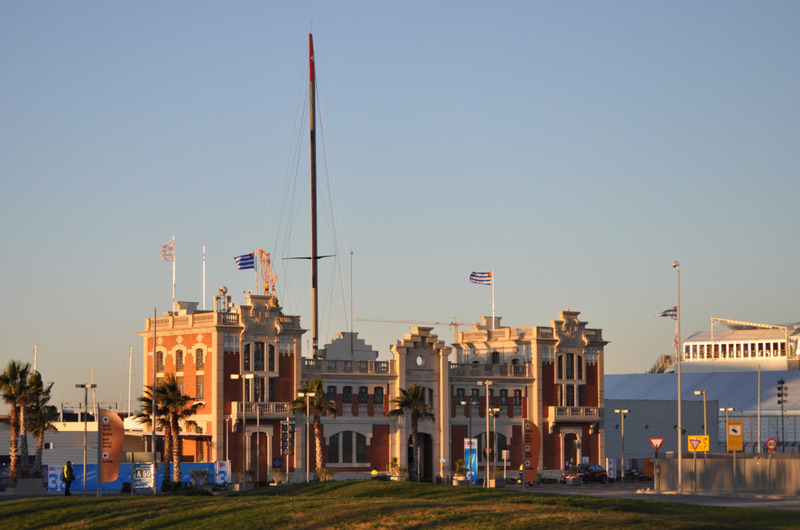 That’s the commercial port in the background and Alinghi’s mast in the foreground . . . Earlier, in lieu of a race, design team member Dirk Kramers talked boatside with the press about mainsails that weigh “550 to 650 kilos depending on which mainsail you mean.” Those 650 kilos would convert to over 1,400 pounds. He discussed “a whole quiver of foils” that are selected for the conditions of the day before the boat leaves the dock. Light-wind conditions call for straighter foils closer to the shape of conventional daggerboards. Higher winds (and higher speeds) call for curved foils that provide more lift. 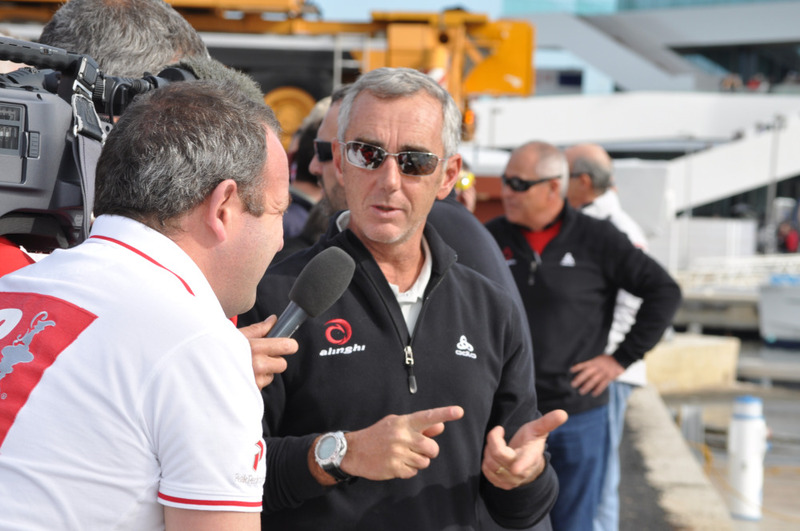 Close by, sailing royalty Loick Peyron was holding court . . .
. . . while Kramers fenced and “foiled” to a variety of reporters’ questions. Can you tell us about the water ballast system? How many gallons per minutes? How much can you put into the system? In this audio file of Dirk_Kramers you can hear ten minutes worth of banter between various members of the press (my voice is not there) and Kramers. It opens with Ed Baird talking about Wednesday’s sea conditions, and from there we move to Kramers on foils, etc. What you probably will find most interesting, however, begins at 6:38. 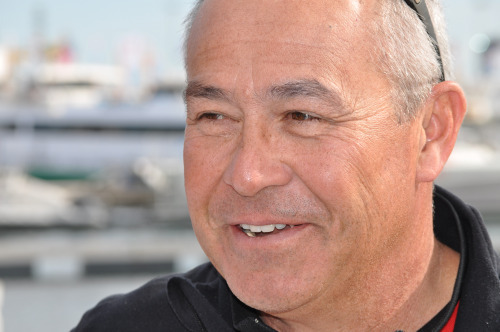 At that point Curtis Blewett fires up Alinghi’s former-snowmobile engine to power the winches to haul another crewmember aloft inside the mast. This goes on while Kramers describes the operables. All of us who savor the “ahhh” moment of turning off a sailboat’s auxiliary (and I count the sailors of Alinghi among us on that point) stand to be dismayed by the racket of the motor. Meanwhile it is, we know, deucedly effective at pulling sails in and halyards up, so the audio provides a dash of insight into life aboard a 90-foot multihull at what may eventually become AC 33. I was asked to relay this note to the principals of each camp, which I have done. And here I relay it to you. Mr. Cort, I believe, is not alone in wishing these guys would play the race card. You have much of the world watching you attempt to sail your two exciting boats for the America’s Cup. Time is running out; it is time to act. There are 4 days from today left in the week you announced to sail this regatta. It is clear that the existing race requirements will not be easily met. A second day is being wasted each time the race is postponed. Tomorrow, Friday, is the next opportunity to hold a race. I suggest you schedule races for each of the next three days. Friday, Saturday, and Sunday. That you race each day without intervening days off. That if the weather or sea state is not suitable for the scheduled race, a 20 mile windward-leeward for instance, you authorize the Race Committee to set and run a suitable course for the conditions, keeping usual safety concerns in mind. That if it becomes possible to run more than one race in a day, the Race Committee be authorized to do so. All the machinery and personnel you would need to do this are on site at the moment. If you will simply agree to use them you can complete this regatta this weekend. I appeal to you to apply your the talents of your teams to do this.